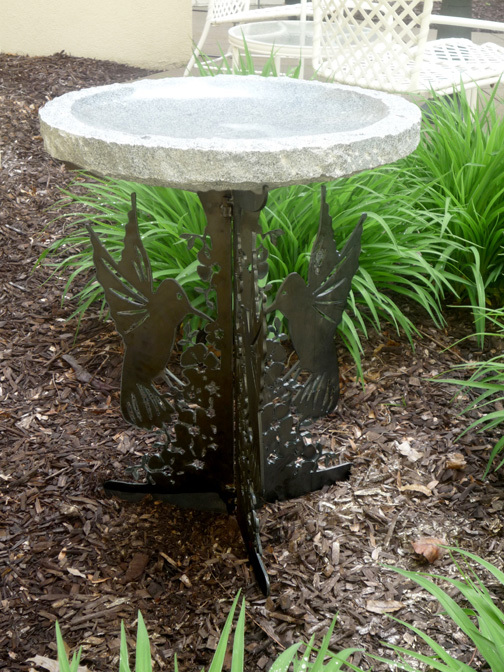 Exclusive to Stone Age Creations, this unique hummingbird base is sure to bring elegance and charm to any backyard! Sturdy and strong, the black, powder-coated steel base is laser cut from 4mm steel and folds flat for easy shipping. The granite birdbath bowl features a polished basin and chiseled top and exterior.